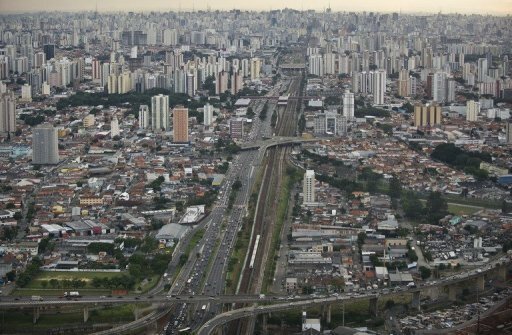 SAO PAULO – (AFP) – Air pollution kills more people annually than road accidents in Sao Paulo, Brazil’s most populous city which will host the opening game of the 2014 World Cup, a study found. The survey by the Health and Environment out Tuesday said at least 4,655 people died from pollution-related ailments in the city which is home to 11 million, compared with 1,556 killed in crashes. With four million vehicles clogging the city streets every day, pollution was also a bigger killer than breast cancer and AIDS, it added. At the state level, the split is also stark. “Few people know it, but every year, 15,000 people die throughout the state due to pollution, more than the 7,900 deaths from road accidents,” said institute president Evangelina Vormittag. With a total population of 42 million, the state of Sao Paulo is also Brazil’s most populous and the annual average of pollutants in the air reaches 20 to 25 micrograms per cubic meter, much higher than the 10 micrograms tolerated by the World Health Organization. Scientists say environmental pollution can cause many respiratory diseases, cardiovascular problems and breast cancer. The study was conducted between 2006 and 2011, in collaboration with health and economic experts from the University of Sao Paulo.